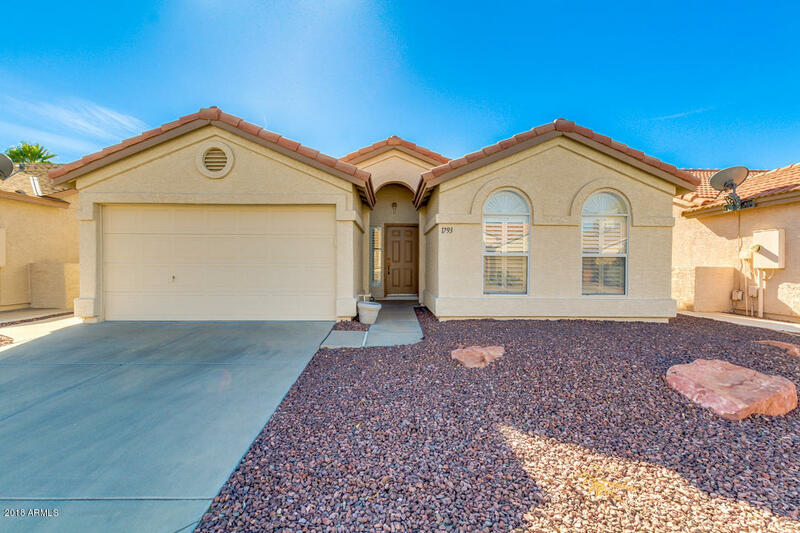 2 Bed, 2 Bath in SunBird Golf Resort, Chandler. A Beautiful well-kept Carmel that is Light, Bright and Open with Vaulted Ceilings, Wooden Shutters, New Trane A/C and Quiet Covered Back Patio. Storage Cabinets and Work Bench in Garage. Other Updates Include: Painted Exterior, Refrigerator, Garbage Disposal, Flooring, Washer and Dryer. Amenities: Executive Golf Course, Driving Range, 43,000 sqft Clubhouse, 7,600 sqft Ballroom, Restaurant and Bar, Heated Pool and Spa, Health Club, Billiards Room, Tennis, Pickleball, and Bocce Ball Courts, Post Office, Library, Lapidary Room, Ceramic Room, Craft Room, Bike/Walking Paths, Fishing Lakes and Horseshoes.